Sandy oak savanna, dry grassy places (and prairies), shallow soil over limestone pavement (Drummond Island), and rock ledges. This is a very early-flowering species, usually readily distinguished from small plants of R. hispidus by the less sharply toothed leaves and the short tuberous-swollen roots. MICHIGAN FLORA ONLINE. A. A. Reznicek, E. G. Voss, & B. S. Walters. February 2011. University of Michigan. Web. 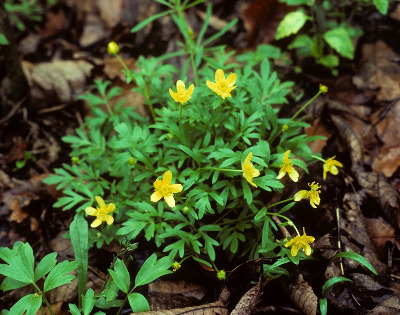 April 21, 2019. https://michiganflora.net/species.aspx?id=2387.